There have been lots of attempts over the years to make the old, staid bingo game a lot more appealing to the younger generation. Doing mad things in the traditional bingo halls by Mecca and Gala haven’t really had the desired effect, but a relatively new outfit called Bongo’s Bingo seems to be succeeding where the old guard failed. Set up in 2015 by co-founders Jonny Lacey, also known as Jonny Bongo, and Joshua Burke this was a completely off the wall idea they could never have dreamed would take off the way it has. 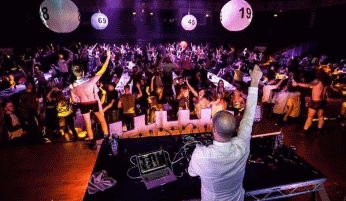 Over the last couple of years, the events that are Bongo’s Bingo evenings have grown in popularity with the 18 – 30 crowd. What started out as relatively small events in Liverpool, Manchester and Newcastle have grown to huge crowd pleasers in far-flung corners of the world from Ibiza to Aberdeen, from Dubai to Melbourne and from Paris to Sydney, with stops at Leeds, Preston and Wolverhampton in between. In the UK, the people of Newcastle have really taken this form of bingo to their hearts and every time a new ‘show’ is listed it sells out in minutes. Even young people who would have said they would never dream of playing bingo have loved these events. In early 2019 the founders are planning shows in new UK cities like Norwich, but also have their sights set on much bigger things, with ambitious plans to head to the USA. Now we know that American seniors love their bingo, but will Bongo’s Bingo be able to adapt their traditional 90 ball game to the 75 ball game that the Americans know? Will American 20-somethings go near anything that mentions bingo? Exciting times for Jonny Bongo and friends! These events are not for the faint-hearted, or if you want to stay in your seat. Yes, you will find the traditional bingo game is being played with real dabbers, but hearing the numbers might be quite an achievement over the music. Not the heavy rock or rave music you might expect though. Instead you get pop classics, power ballads and cheesy pop – basically, anything to get you up on the tables and waving your hands in the air with your glo-sticks flashing. The popularity of the music is becoming marked by the appearance of some very surprising names at selected events. So far we have seen the likes of BoyzLife – Brian McFadden from Westlife and Keith Duffy from Boyzone, So Solid Crew, Kelis, Five, S Club and Ms Dynamite. More acts are happy to appear as the appetite for the Bongo’s Bingo events gets bigger with every passing month. We can’t wait to see what acts would come forward for the American events. There are some great cash prizes, but there are more naff prizes too; a box of Coco Pops anyone? You just never know what you will walk away with if you are a winner, but you will walk away with some unforgettable memories of a fun night out at the bingo!